Relationships are magnetic: There’s a gravity about them that pulls people toward one another, wherever they are – however near or far. Souvenir Driver capture that connection on “Sunsets,” a video full of warmth and bliss. gotta get back to you. Atwood Magazine is proud to be premiering the music video for “Sunsets,” the latest single off Souvenir Driver’s upcoming fourth full length, self-titled record (out 4/14/2017 via High School Records). Comprised of Nate Wey, Travis Hendricks, Ethan Homan, and Bob Mild, the Portland shoegaze/indie rock’ band turn an otherwise “Radar Love”-type love song into something much greater in their music video. We normally limit songs of love and companionship to an intimate two, but there are many kinds of human connection. Directed and written by Jake Lyon, “Sunsets” highlights the kindness of strangers and the mutual respect musicians often express toward one another. Shot in a small rural town a couple hours away from Portland, the video opens to find the members of Souvenir Driver stuck with a broken down car on an open highway. Vocalist/guitarist Nate Wey offers a good overview of the video: “The basic concept is that we’re driving, our RV breaks down, and we hitchhike to a small rural dive bar where chaos almost ensues until a local fan saves the day.” Paul Cowsill of The Cowsills (“Hair,” “Flower Girl” and the inspiration for The Partridge Family) picks up the forlorn foursome, bringing them to a local bar where they play a gig and enjoy the company of another music man. 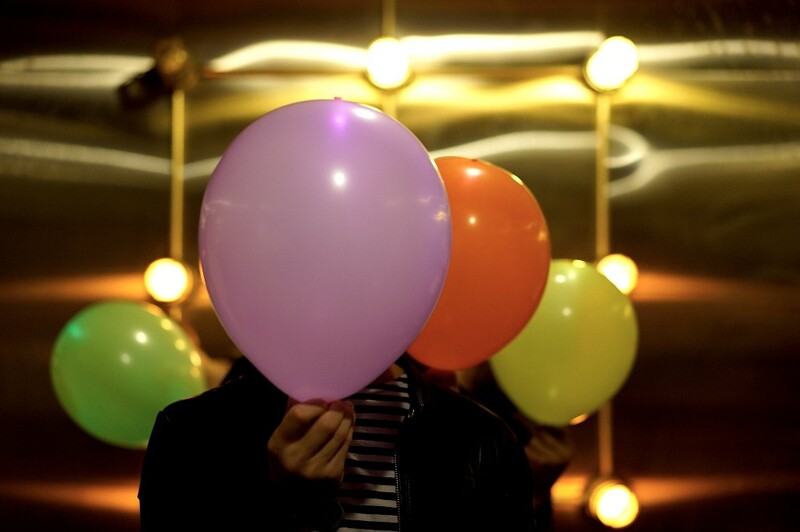 We watch total strangers grow familiar in time, enjoying each other’s company as the hours pass. Cowsill’s character drives back to the highway to help fix the band’s car, just in time for them to avoid a scrap and get back on the road. “All of the extras and other actors were locals from the town and regulars of the bar we shot at,” remarks Wey. That’s pretty special, and the authenticity can be felt in those bar scenes. It’s real and down to earth, quite fitting for the song’s theme. Souvenir Driver recently released their 4-track ‘Brace Yourself‘ protest EP in January. Compared to that collection, the songs on the band’s new album – especially “Sunsets” – are polished, less gritty, and far more optimistic. The band celebrates life with a bright, driving synth that pops in time with the sprightly drum beat on “Sunsets,” instilling in the listener a fond sense of longing. 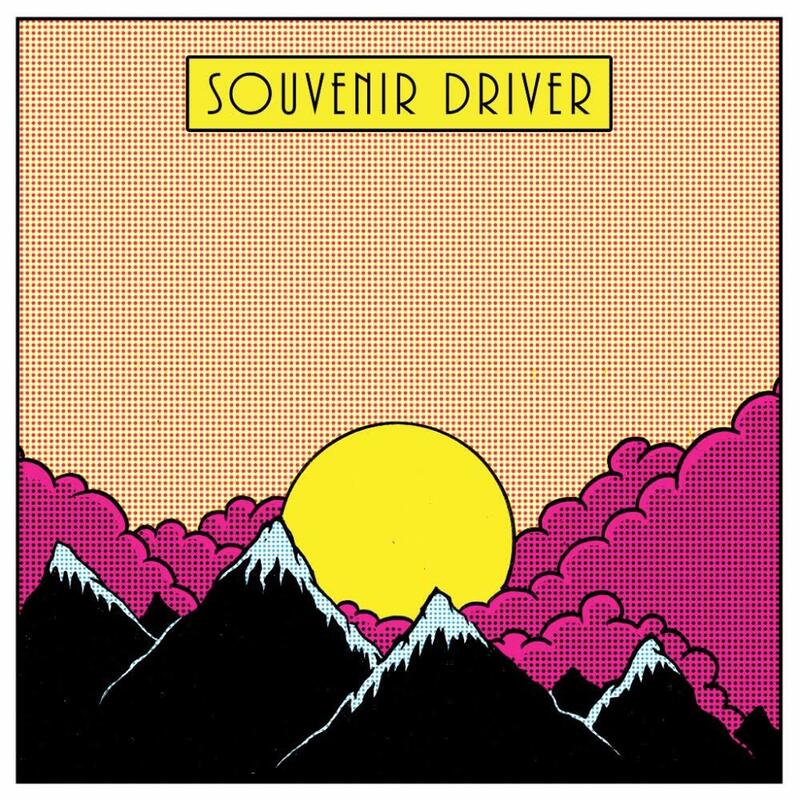 Whether you’re after love or friendship, Souvenir Driver’s “Sunsets” offers a moment to dwell in the warmth of personal connection and shared experience.